With the revised deadline for achieving ESOS (Energy Savings Opportunity Scheme) compliance just one week away, the government has released a guide to help organisations realise some of the potential energy savings highlighted during the compulsory audit. 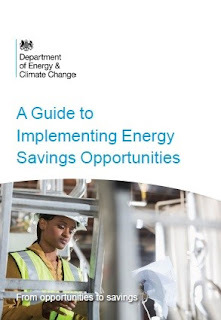 Entitled ‘A guide to implementing energy savings opportunities’ and produced in partnership with the Carbon Trust, the paper aims to help those companies that are inexperienced in carrying out energy-efficiency improvements. In addition, the guide offers advice to energy managers on how to make proposals more attractive to decision makers who may be sceptical about the return on investment offered by new equipment and practices. The paper should also be useful for those who have attempted to implement energy-efficiency measures in the past, but were unable to complete the projects or were disappointed by the results. The guide discusses energy-saving improvements in electric motor-powered processes such as HVAC and pump applications, where the installation of variable-speed drives allows users to reduce energy consumption by as much as 60 per cent. As a founder member of the Authorized Value Provider programme, Gibbons Engineering Group is part of a select network of companies approved to supply, install and deliver specialist services for ABB drives. We have decades of experience in helping clients across the world significantly reduce their energy consumption, delivering projects within the healthcare, manufacturing and education sectors to name just a few. So to discuss your industrial or commercial energy-efficiency requirements, call Gibbons’ Drives Manager Alan Roberts on 07966 468430 or email alan@gibbons.co.uk.